KPIs measured are KPIs managed. KPIs track progress toward your business goals. Reports give you access to the data that tells you how you’re doing on those KPIs. Easy access to that information helps you make the right decisions for your business on a continuous basis. ITarian’s Business Reports provide a single dashboard you can use to drill down on key data for real-time, customizable metrics for every KPI. What is a Business Report ? A business report is a bunch of facts written in a systematic way related to specific business matter as per a set of standard protocol. It helps concerned stakeholders to get a thorough knowledge about the problems and how to overcome the problem. Business reports are about showcasing a set of business related information like facts, analysis, figures and such. 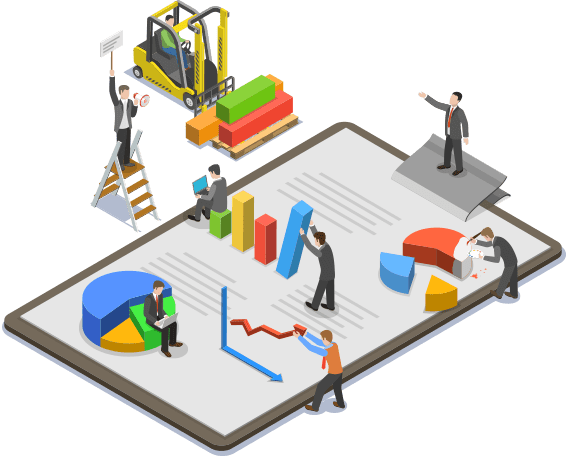 The objective of business reports is to give the information in an organized manner which helps to make major decisions and plan for the future. Reports help businesses plan budgets, decide on promotions and advertisements based on the drafted information. 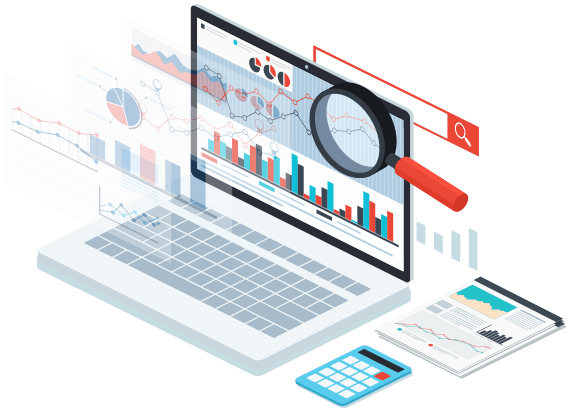 When there are different types of business reports, formatting is a concern to draft a report that makes it easy for the stake holders to instantly read through the data without missing out anything. Analytical reports are critical for any company and help in times of crucial decisions. It helps the management to get the relevant data with related descriptions. For instance, during the quarterly operations analysis, the report would comprise of the necessary activities taken by the executive team, the numbers from sales revenue and the net profit or loss for the quarter. 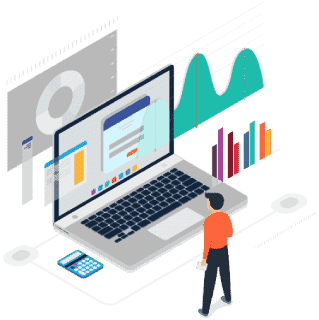 The analytical reports help the businesses to analyse the business operations that has occurred during the first quarter of the year – this helps businesses to make future decisions. Informational reports include non-specific facts that it does not explain the “how to’s” and “what ifs of the scenario. If you require any objective type answers, then information report is what you must look for. It gives the information on the number of employees, departments they work, number of employees, and what is the role of each employee in the organization. The information of an organization can be showcased in different ways – it can be in a graph, pie-chart or a table showing the employing details and so on. Research reports are comprehensive which are required when a company is planning to venture into new areas, like launching a new product in the market or planning an expansion of its office in a new geographical area. A research report includes a specific information on relevant details and stats on a specific topic. Interpretation and Explanation of event: Reports helps the users to understand the information easily. It explains and interprets the data to an understandable format. Making Decisions: A report is a tool to help stakeholders take decisions. A report is the basic management tool for making decisions and to help solve problems. Communication with external stakeholders: It helps to communicate information to not just the internal stake holders but also with external stakeholders. Development of knowledge base: Reports also help in establishing a rich source of information base in an organization. It records all the activities of the business operations permanently which are archived for future references. Controlling: Reports provide the required information to enforce controlling techniques. Recommending actions: Reports not only provide information but also stands a source to provide solutions to problems. Business reports are critical and important source of information to all the stakeholders involved in the business. When there is a business plan, such reports play a vital role and it outlines the business finances, strategies and future plans and goals for future growth. It is a medium to communicate about the progress of the business. The data reports can be saved for future purpose in case of any security breach or any other critical scenario. It is important to monitor backups on the company’s servers would serve u from any unpredictable mishaps. Quickly see where your make and lose money based on profitability metrics and true employee costs. Track SLAs, open ticket count, ticket backlogs, time to resolution, and project hours spent on a per-project basis to maximize resource utilization. See which opportunities are likely to close and how much you can expect to make for more accurate forecasts and to estimate potential ROI by opportunity and by employee. Did you find this article about Business Reports helpful?